First Look vs Aisle Reveal? 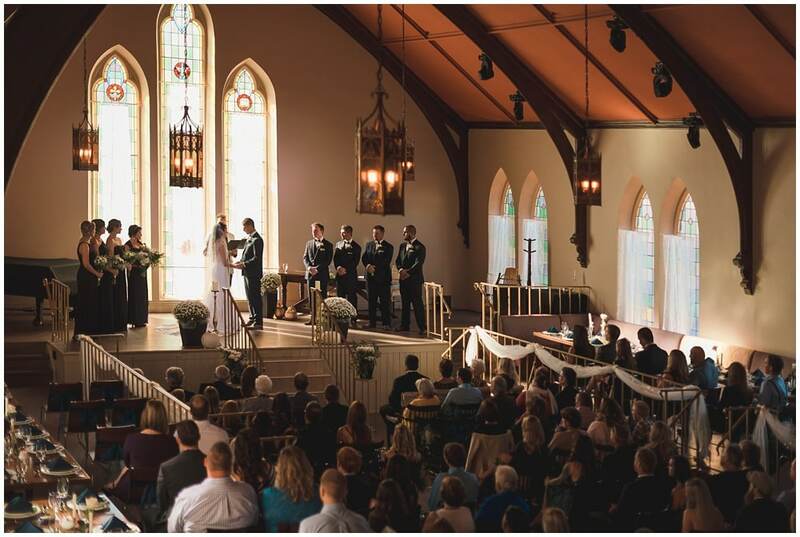 The wedding day “first look” has been growing in popularity in recent years. 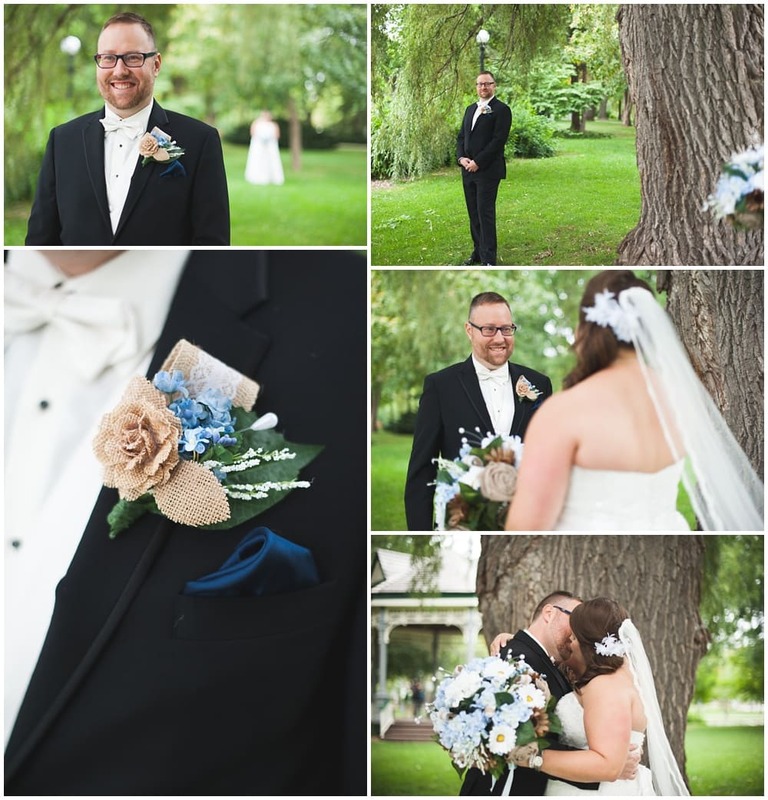 Rather than the tradition of the couple first seeing each other on their wedding day as they meet at the altar, they meet earlier in the day, revealing their wedding attire and having an intimate moment. Seeing each other ahead of the ceremony relieves a lot of the growing anticipation the two may be feeling and allows for the two to really take in this authentic moment. 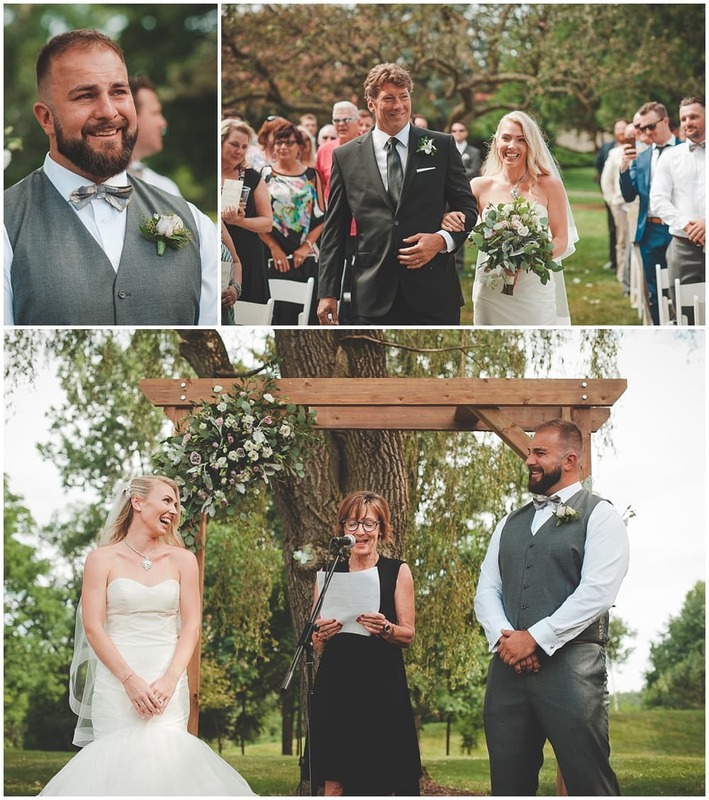 When a couple sees each other for the first time during the ceremony, not only are they in front of an audience of guests, but they have a number of rehearsed things to do and say, possibly taking away from their ability to have a real moment with each other. 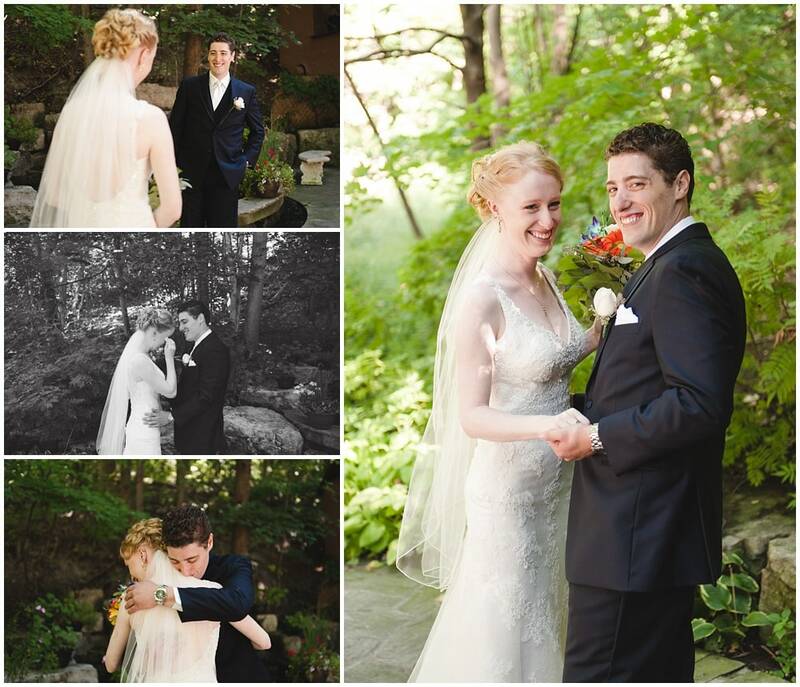 The main reason, however, for a First Look is to allow the formal photos to be taken before the ceremony. It means the ceremony can be scheduled for later in the day and allow your guests to immediately go to the cocktail hour from the ceremony, rather than have to wait around for 3 hours while the wedding party goes for photos – it also often means the newlyweds can attend their cocktail hour and be present at their own party. 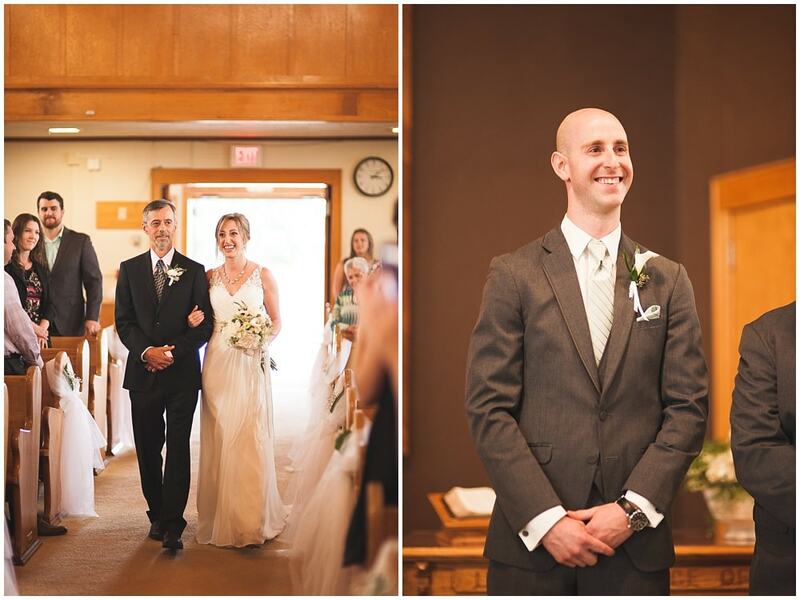 In this post, I’m looking to explore pre-ceremony “first looks” and the traditional moment of reveal, during the ceremony, from either end of the aisle. 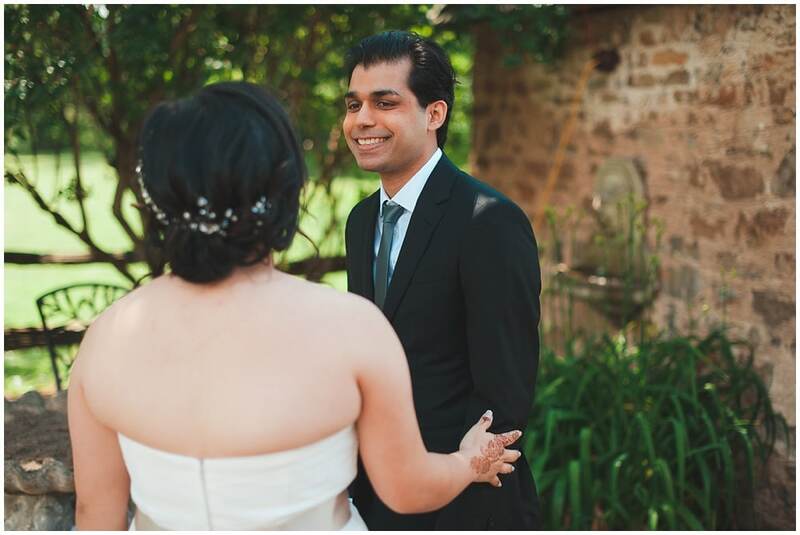 Some who go the traditional route may feel that seeing each other before the ceremony will take away the special moment during the ceremony, but in my experience, the couple seeing each other ahead of time doesn’t negate an emotional response during the ceremony. Take Danica and Tom, for example. 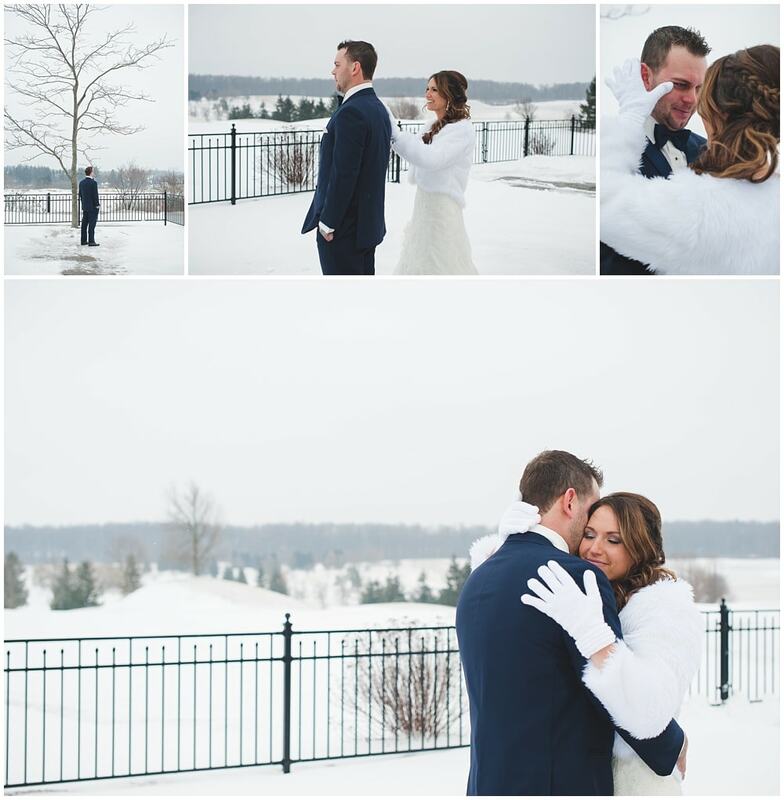 They opted to see each other before the ceremony, allowing us to get the majority of their formal photos out of the way, and giving them the freedom to join their party earlier in the night. The above set of photos is their first look before we began their wedding party photos. 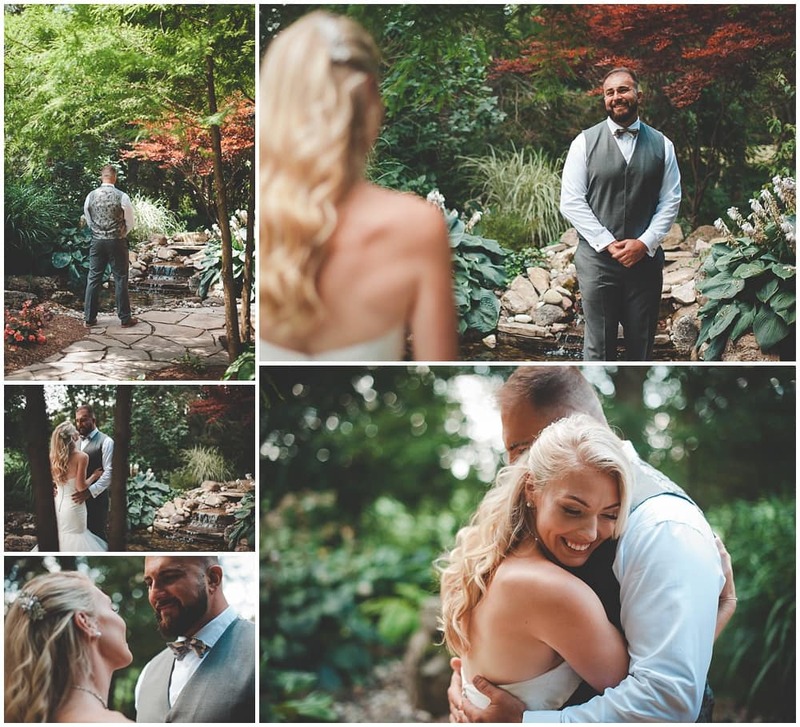 The moment was emotional and special and in a beautiful, private location by a waterfall. 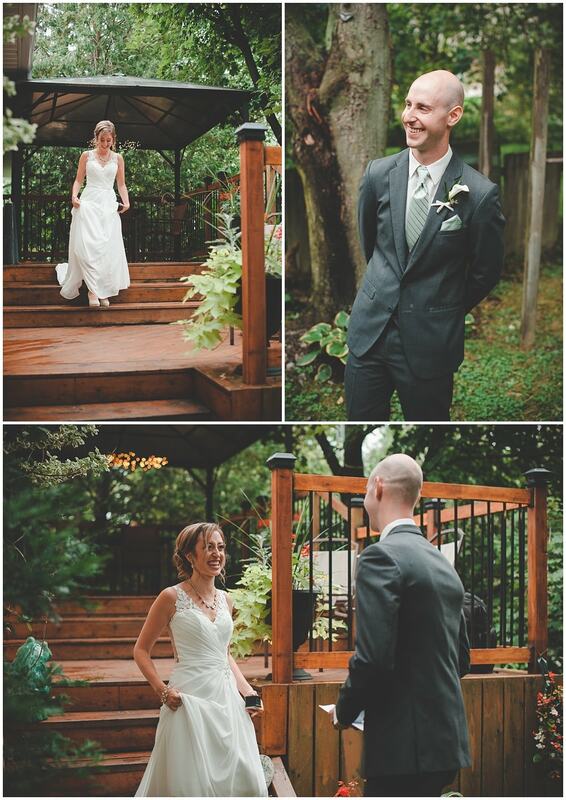 Below is the moment they saw each other during their ceremony. 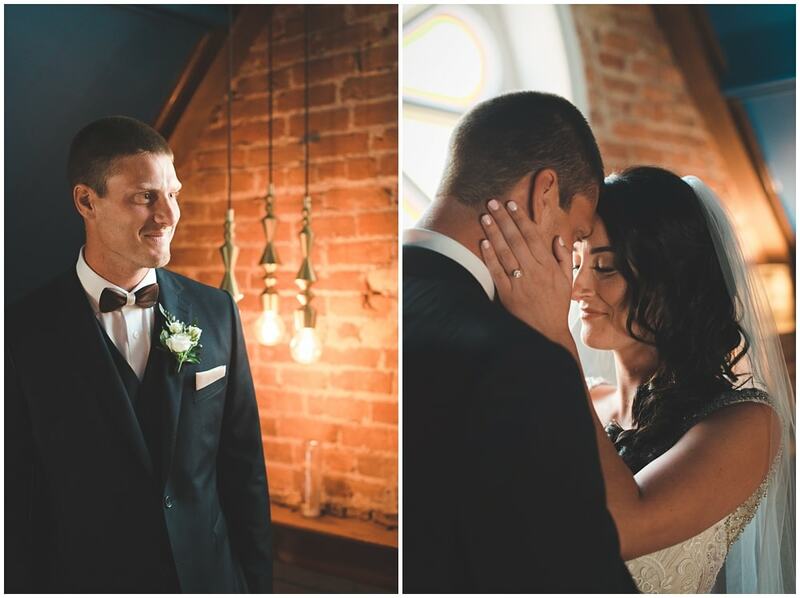 Though they had already spent several hours together, they still had a beautiful, emotional reaction. 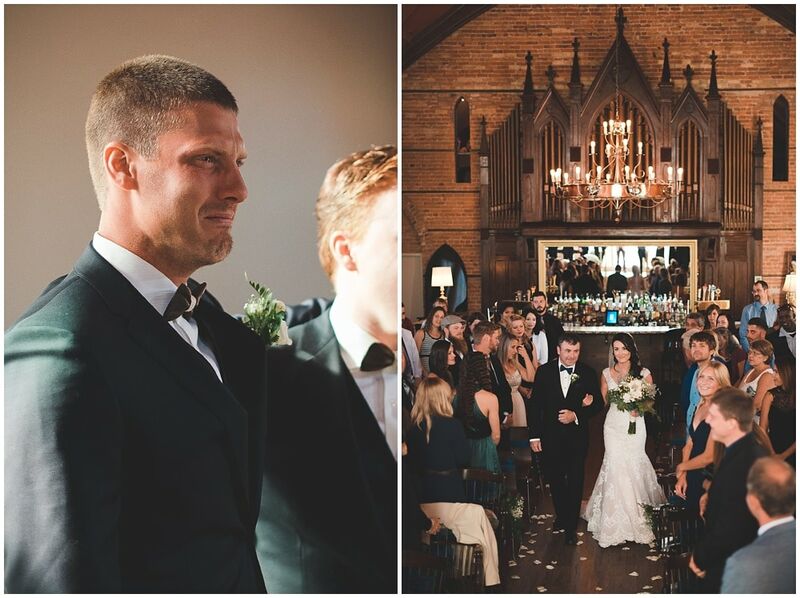 Reid’s reaction to seeing Brenda walk down the aisle brought tears, while at their first look he was all smiles. 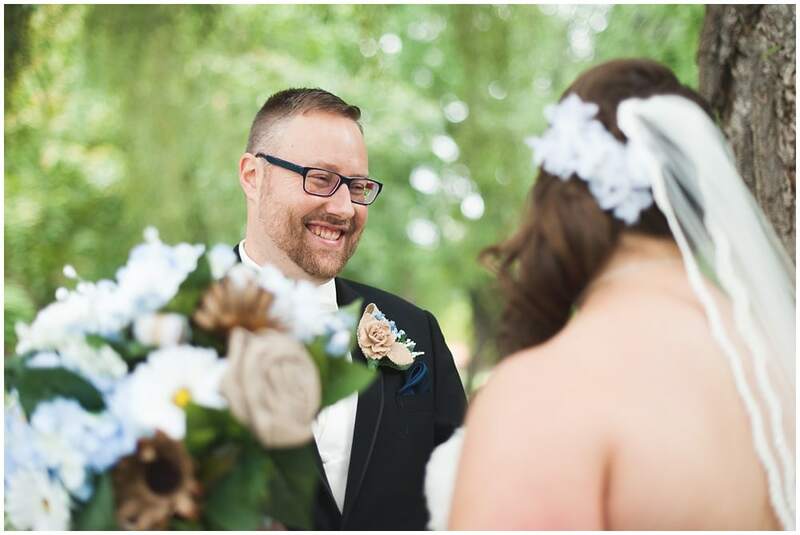 My wife and I also had a first look on our wedding day and I can say from first hand experience that even after seeing your bride earlier in the day, the emotion really hits when you see her walking towards you at the beginning of the ceremony. I was calm and collected all day long until that moment and that’s when I started getting choked up. 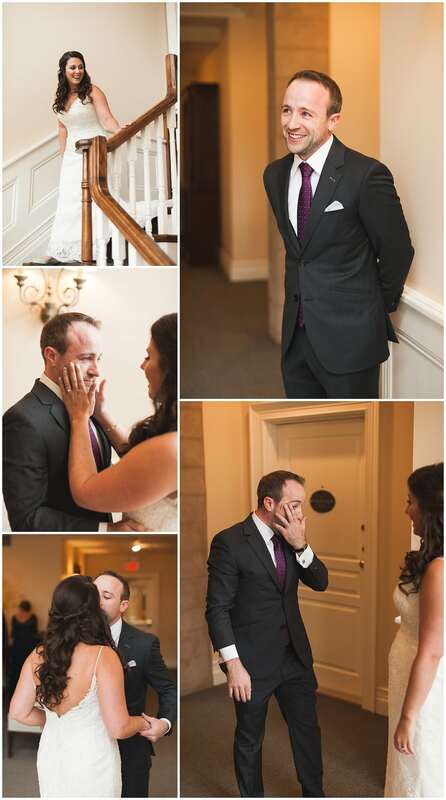 During Sarah & Ari’s first look, Sarah couldn’t hold back the tears, while Ari held it together. 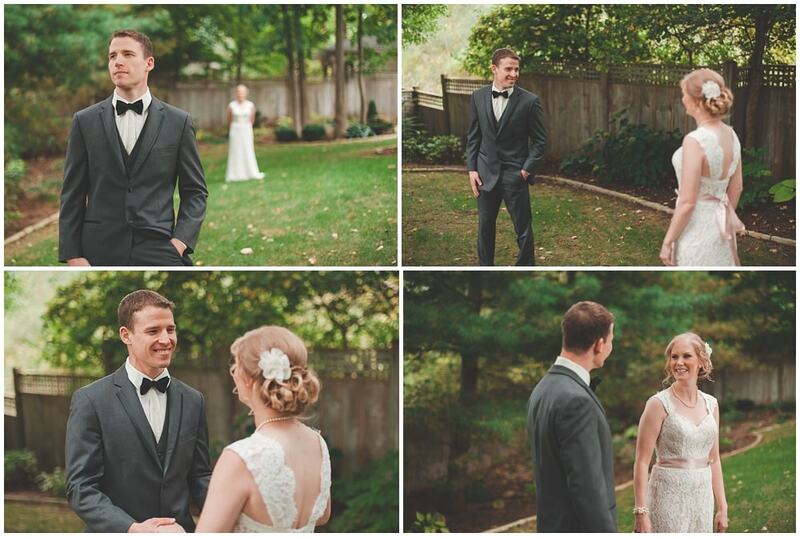 The first look can hold more surprises than each others’ wedding outfit. 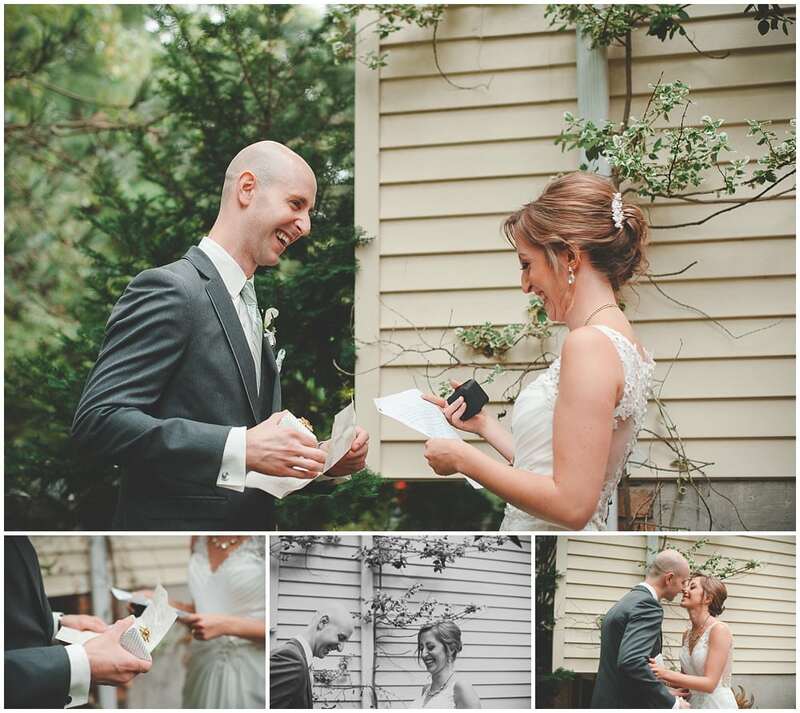 At Sarah & Joel’s first look, the couple exchanged a letter they each wrote to the other and the other’s wedding band, which made the moment even sweeter. 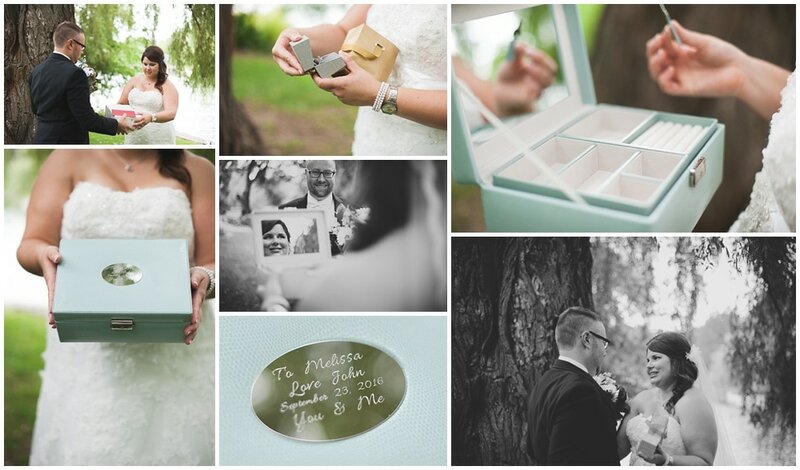 John also gave Melissa a few gifts at their first look, including an engraved jewelry box and a beautiful pair of earrings. 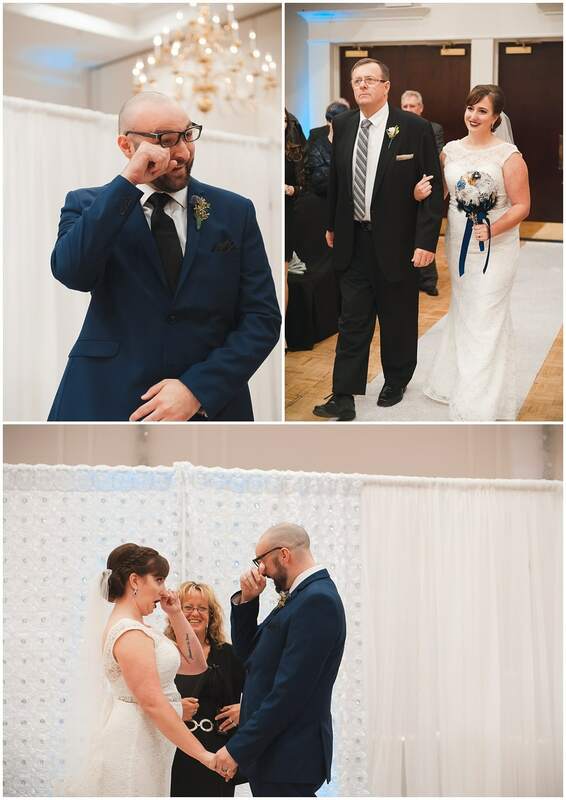 Some brides with special relationships with their fathers, like Jaime, will opt to also have a first look with their dad, so that the moment he sees his little girl in her wedding dress is documented. Jamie also shared a first look with her then husband-to-be, Steven on the balcony that overlooks the Revival House’s gorgeous event space. 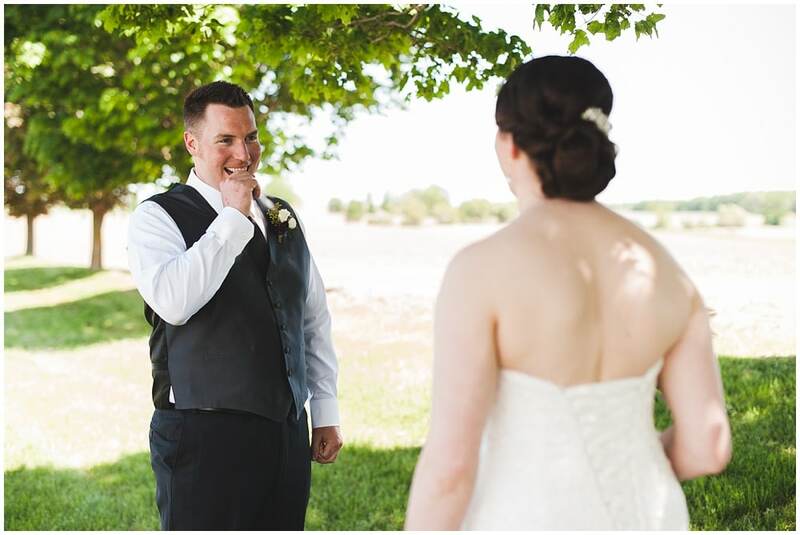 Steven’s reaction during their first reaction was sweet, but not overly emotional, which made his reaction during their ceremony, after several hours of formal photos, even more surprising. At the end of the day, whether you and your husband or wife-to-be share a private first look hours before the ceremony, or keep the tradition of waiting until the processional to first see each other, and whether you’re all smiles or reaching for the nearest box of tissues, your moment will be its own sweet, unique mix of emotions, as you each look into the eyes of your best friend, preparing yourself for the official beginning of your journey through life together.